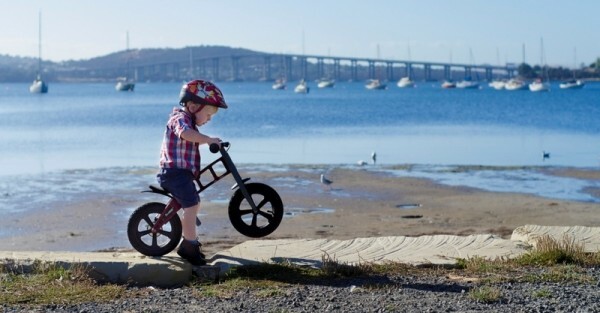 First wheels don’t come any cooler than these rad FirstBIKE Balance Bikes – we just love them! They don’t just ooze street cred, they’re a fabulous way for kids to gain enough confidence and balance to eventually master a traditional bike – without training wheels. We’ve taken a closer look at these terrific training bikes in a video review – come and see what we thought. Kids should never be frightened of riding a bike – it should be fun! But most parents who have tried to get their kids to ride a bike, sans training wheels, know how scary and deflating it can be when they just can’t master this childhood skill. There’s a really important step that can help the kids find their bike-riding mojo – it’s a balance bike! 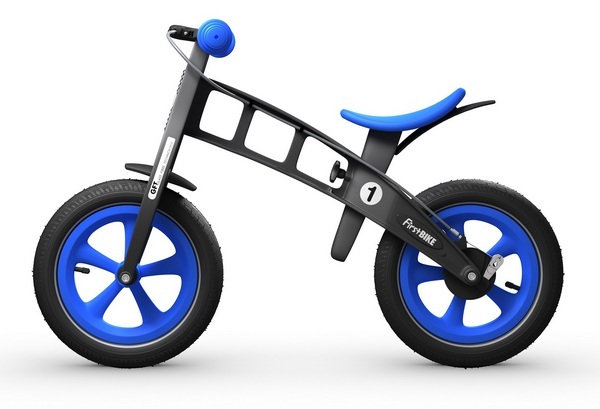 FirstBIKE Balance Bikes are lightweight, really comfortable and easy to steer – kids will master them really quickly. They’re suitable for kids aged between two and five. Just adjust the height with a turn of the knob and you’re good to go. Here are our thoughts on the FirstBIKE Balance Bike. German cyclist and father Ralf Coerschulte created FirstBIKE with the sole aim of making the best balance bike possible. He wanted to alleviate any stress for kids learning how to ride on two wheels. They are the perfect bikes for kids, created with their safety and comfort at the forefront. The bikes have glass fibre reinforced resin frames which give fabulous lightweight strength and flexibility. They’re weatherproof too, and the frame has a lifetime guarantee, with a five year guarantee on parts. There are five options when choosing a FirstBIKE for your kids – Basic, Cross with Brake, Street with Brake, Limited with Brake and Racing with Brake. There are also some great accessories you can add to really personalise the bike for your child. The model in our video is the Limited Edition model, which retails for $219. You can find out more, and order one of these multi award-winning bikes at FirstBIKE or from one of their dedicated stockists.